Just before Christmas break, I was talking to one of my closest friends about reading material. I was feeling a bit spiritually dry, and hoping for something to read that would refresh me and help me engage with God more deeply. Then I noticed on my bookshelf a book I’d bought but hadn’t read yet, I Loved Jesus in the Night: Teresa of Calcutta--A Secret Revealed by Paul Murray. I’ve always looked up to the woman we call Mother Teresa. Of course, so does the rest of the world. But I like her especially because she is such an amazing example of loving people unconditionally and loving God deeply. She must have been especially close to God, right? This book, written by a priest who knew her well, shows a side of her that we don’t usually hear about. She wrestled for long periods of time where she didn’t feel God’s presence or hear Him speaking to her in any way, despite drawing others closer to Him. Her faith sustained her, knowing in her heart that Jesus loved her intimately. But she couldn’t feel it and often wondered if she was even doing what God wanted her to be doing. The author notes that she experienced what is sometimes called “The Dark Night of the Soul” based on the writings of Spanish mystic St. John of the Cross. I’m still seeking to understand this concept, but from what I can tell, the “dark night” is a period of suffering that isn’t related to any particular event or circumstances, but is a spiritual crisis in someone’s journey of faith. I’ll let you read the book to find out how Mother Teresa’s “dark night” experience unfolds, but I will say that reading it was both challenging and encouraging. Challenging because in the theology I am used to, God is always speaking to us and affirming us. But that doesn’t seem to always be true, even in the lives of people so deeply in love with him. So it is scary to think that even Mother Teresa could experience this struggle. But it’s also encouraging. As it says in Romans 5:3, “Not only so, but we also glory in our sufferings, because we know that suffering produces perseverance; perseverance, character; and character, hope.” And we get to know Jesus better-- Philippians 3:10: “I want to know Christ-- yes, to know the power of His resurrection and participation in His sufferings.” As Mother Teresa persevered in faith even in periods of not feeling His presence, she continued to bless others and bring them closer to Him. She continued to pray, trusting that He was near. That she went through this is also encouraging to me, because it makes her more human. More real. More like you and me. She wasn’t just the “super-saint” that we make her out to be. And if she can wrestle with this darkness and prevail by the power of her faith in God, so can we. Father Murray acknowledges that most people don’t undergo this kind of suffering as intensely as Mother Teresa did. I don’t know why she had to bear it. But I do believe that everyone experiences suffering at some time in their lives, if they live very long at all. It can take many different forms and come from different origins. Sometimes it’s of our own making, the consequences of our choices. Other times it is at the hands of other people, or disease, accidents, or the breaking of relationship with someone. It can take the form of grief, depression, confusion, fear, or other difficult experiences. No matter the origin or form, it is painful. Sometimes crushingly so. But I believe it can also draw us closer to God, if we face it instead of running from it. This is baffling to the world, but beautiful to those of us who have experienced His love in the midst of our suffering. Don’t fear the darkness. He is there in it , with you. 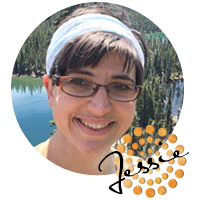 Jessie is an educator, currently in the role of academic advisor at a charter school after teaching there and overseas. She is also a novice writer, with several books in various stages and a (long-neglected) blog about the journeys of women. She is very excited to join the CitySalt blog team. She has been blessed by a few communities of Christian writers that have encouraged her dream. She lives with her trusty sidekick cat, Arwen in the foothills of South Eugene, where she can go hiking within minutes of the sun coming out from behind the clouds. Revelation. That’s one of those scary words that I usually leave to the theologians and my friends that went to seminary. What would I know about revelation? But as I reflected on it in recent weeks, many thoughts came to me. And I realized that revelation comes in many different ways, usually when we’re not expecting it. And sometimes we don’t even recognize it for what it is. When we do, we experience a blessing that can’t be explained. Sometimes that “Aha!” moment will come to me through other people. Someone will interpret a truth of God in a fresh way that I’d never thought of before, in a lecture, book, song, sermon, or even a Facebook post. I’ll hear it and think, “Hey, that makes sense to me now!” or “I’d never thought of it that way before!” and I’m grateful for the fresh or deeper understanding of something I’d wrestled with or only scratched the surface of. Usually for me, it comes from reading something again, but understanding it a new way due to my own more recent experiences. This has happened for me a lot when reading my Bible. Depending on what I had recently gone through or am experiencing at the time, a certain verse or passage will just mean so much more to me than it ever had before. The Psalms have had this effect on me many times. Once in our twenties, my stepsister and I had gotten sucked into a class action suit and were being countersued by a bank we had both previously worked for. We would call each other and cry on the phone because we were so scared. But then I would read the Psalms, where David wrestles with many different kinds of giants in his life, and remembers that God is on his side. These verses meant so much more to me because of what I was experiencing. Occasionally, the “Aha” moment will just be remembering something simple but profound that I’d buried in my mind and not taken to heart for a while. I recently had this experience. Work itself had been fine that day, but the workplace environment had been discouraging. When I finally realized consciously that I was discouraged, suddenly I remembered that God exists. That was it. God exists. Immediately my heart lifted. I was surprised at the instant effect. I’ve always believed that God existed, so why did it strike me in such a way just then? Instant revelation from His heart to mine. He didn’t shame me for forgetting Him, but reminded me that since He exists, it also means He’s good, He’s in control, and everything else that I believe is true about Him. All of that came to me in an instant, and flooded me with relief. Sometimes it feels like He’s silent. But I believe (based on my experiences) that if we are waiting patiently to hear from Him, spending time with Him in whatever way we know how to, then when our hearts are ready, we’ll hear what we need to know. We’ll understand truth in a fresh way. And we will be blessed by that moment, however dramatic or simple it is. The concept of tension is one of those things we know we must live with, but we don’t usually like it. Why? It’s uncomfortable. Why do we have to live with it? Because this is an imperfect world, filled with imperfect people. Think for a moment of all the ways we feel or encounter tension in our lives, or even in just one day. We come into conflict with people whose behaviors or beliefs are different than ours. We have conflicting ideologies even within ourselves, which could be political, theological, or any other value or belief system. I walk in this tension all the time, being conservative on some issues and liberal on others. Being a Christian around non-Christian friends and family. Having a different definition or demonstration of patriotism to my nationality than some of my coworkers do. Then there’s the moral conflict within all of us. We struggle with the desire to do what is right, while also wanting to do what is wrong or not good for us or others. Like the apostle Paul says, “I don't really understand myself, for I want to do what is right, but I don't do it. Instead, I do what I hate.” (Romans 7:15, NLT). And of course, one of the most difficult paradoxes in Christianity to live out: “Be in the world and not of it.” This last one is actually not direct scripture, but is rooted in some verses like John 15:19, John 17:14-19, 1 John 2:15, Romans 12:2, and others. For some interesting articles on this subject, check out https://www.desiringgod.org/articles/lets-revise-the-popular-phrase-in-but-not-of and http://coldcasechristianity.com/2017/christian-worldview-what-does-it-mean-to-be-in-the-world-but-not-of-the-world/. Living as citizens of Heaven while in this beautiful mess of a world that God loves and has us in right now is hard. We know that He doesn’t love the hurtful things that people do and experience. But we also know that He loves all the people in it passionately, as well as all the beautiful things He’s made in His great creativity. So how do we live in this tension? We live in tension by walking with God. We can’t do it in our own power. Ask any counselor or trauma therapist, or person who has lived in a war zone. It’s exhausting and potentially harmful to live in a constant state of tension. But He offers us all that we need in order to do just that. He shares our burdens and gives us rest in Him. He gives us wisdom, endurance, and peace. And best of all: He gives us His love. Love to fill our own needs and desires. Love to share with others. Love to forgive ourselves and others when we mess up or have conflict. And in the meantime, we can remember that even though tension is hard, it is a good thing. It keeps us alert and focused on Jesus. Forgiveness is probably one of the most difficult yet important themes in our lives and world. We all know that we need it and need to offer it, but it is so hard to actually give it. But is this all there is to it? Just a simple letting go, and suddenly our hearts are healed? Is it only for our own sake? I think there’s more to it than this. First of all, it is not so simple. Sometimes it is: a misunderstanding gets explained, an apology soothes the hurt feelings, and reconciliation is swift and sweet. But other times, a wound runs too deep to be able to forgive quickly. It takes time and wise counsel, even professional counseling or therapy. And for many of us, these take more than we have in us to forgive at all. This is when we cross into the realm of miracles. Yes, I believe in them. And I believe the greatest miracles of all are the ones where God’s power heals the hurt in us so we can forgive, and that power then touches the person who has been forgiven, and His glory is known. These are the stories that change the world. A person very close to me challenged me last year to show proof of a couple things. One was miracles themselves. He wanted video proof. And the other was proof that love is more than just a chemical reaction to people. He informed me of Oxytocin, a chemical in our brain that causes us to feel feelings of love toward people. I reflected on miracles and researched Oxytocin. As far as I can tell, it only accounts for love toward people that we want to love, like family, friends, and people we are romantically attached to. It doesn’t account for love toward strangers, like Mother Teresa helping lepers in India. Of course, that can be explained scientifically by the positive feelings we get from helping others. But love for our enemies? I found no scientific explanation that can account for that. As far as I can tell, only God’s powerful love in us can cause us to pray for, forgive, and show love to our enemies. Corrie ten Boom writes in multiple books of hers how men who had been cruel guards to her in the Nazi concentration camps later went to hear her speak. They begged her for forgiveness. She momentarily had to fight her human nature of anger, and then God’s grace always won out, and she freely forgave them, causing them to weep. I’m sure that their lives, and anyone who witnessed this, were changed forever. I know of a personal example of this, of a man in a country that is not open to the Good News seeing two Christian men reconcile with forgiveness after a deep wound between them. To protect him, I can’t say more specifically in this public post, but his life was changed dramatically after he saw this. But I will offer the video below instead. This is the greatest (believable!) video evidence I can find of the power of God causing a miracle. I know it is a miracle because I don’t know a single person who has it in themselves to forgive this. Now it is up to us. Who do you still need to forgive? It may be a long process, and you are only able to get a little closer to full forgiveness. Me, I’m still working on one. I keep thinking I’ve forgiven this person over the years, but it caused lasting damage, and he is a person that is not healthy for me to get in contact with to talk and get closure. So I’ll keep chipping away at it. Praying for healing, for wisdom, and for the power to forgive completely. Because I can’t do it on my own. And maybe, in time, it will be right for me to talk to this person and offer the healing that forgiveness does. Have you ever been on a road trip with specific destinations in mind, only to discover some other adventure along the way? Perhaps you see a sign for a place that sounds interesting, or there is road construction, so you take a different route, leading you to new places to explore, interesting people to meet, or a situation where your help is needed and you’re so glad you came along. But what if you refuse to take the alternate route? You’re on a schedule, or comfortable in your air conditioning. You miss out. We do this all the time in our journey with God. We get comfortable, or are on a tight schedule already, and think we don’t need to be interrupted by a divine appointment of any kind. But God doesn’t do anything without a purpose. When He interrupts us, there’s a reason. It could be an opportunity to share His love/grace/good news/encouragement with someone that needs it, if we could just stretch ourselves out of our comfort zone. It could be a trial that we really don’t want to face, but is necessary for our growth or His glory. It could be that we’re on the wrong path, being led into temptation or addiction or something else that could wreak havoc in our lives, and He corrects us so we’ll get back on the right road. Sometimes it’s nothing this dramatic, but just a concept or issue in our life that He brings to the forefront for us to deal with before it becomes a devastating issue. God has interrupted me with all of these and more. Funny thing, after I’d been given the theme of “interruptible” to write about, I came across a book about it without even trying. I was looking up Priscilla Shirer books on Amazon, because I like her Bible studies and recently discovered that she has YA fantasy novels. And saw that she had a book called Life Interrupted: Navigating the Unexpected. So I picked it up at the library the next morning. The book follows the Bible story of Jonah, and how God interrupted his comfortable life with a calling he didn’t want to do. Ironically, the book itself was an interruption. It’s prompting me to do some things I really don’t want to do, like extend forgiveness again. Or pray for people that I don’t really want to pray for. And to look at how interruptible I am. Am I really willing to do what He calls me to, even when it’s not convenient? But I am encouraged by it, as well. Shirer says in discussing when God disciplines us, “When we feel His correction particularly heavy upon us, it’s sometimes not so much in proportion to past or recent sin as in proportion to the great task awaiting us when He’s done, when we’ve endured it.” How awesome is that? And I’ve seen it happen in my own life. After I wrote the first draft of this, with an example from my life several years ago, I got tested on this very concept. The back of the book says “Interruptions. They’re aggravating. Sometimes infuriating. They make us want to tell people what we think of them. But how we handle interruptions actually tells us more about ourselves.” Boy howdy, I saw that firsthand this week. On Sunday, I had texted my friend’s college-age daughter from Southern Oregon. She had stayed with me a bit last summer and house-sat for me. She’s a sweet young lady, but I hadn’t chatted with her for a while and needed her address to send her a Christian book and CD, so I sent her a text message on my phone. I asked if she was still living with her mom or on her own. The text I received back said “she” was good, living on “her” own in Eugene. I was surprised by this, asked why, and said I was glad she was doing well. Well… unfortunately, the person that responded was not my friend’s daughter. She must have changed her phone number over the year. Because at 10:23 that night, my phone rang, and I got an earful from an angry wife who could not be convinced that I was not having an affair with her husband. Evidently my text had reached him, instead. Really! My life isn’t easy, but it is definitely not that dramatic (thank goodness!). The poor lady could not be consoled, or convinced that my friend’s daughter’s name was not a pet name for her husband. Eventually she hung up, and I blocked both phone numbers and called the police non-emergency line to find out what to do. I was so rattled that I couldn’t sleep, but hey, I got all my grading done late that night! And I prayed, but mostly selfishly. I prayed a little for her, but mostly for my own protection. I wanted to lash out at her for interrupting my night and making me nervous that I’ll be called to court or visited by private investigators. And I wanted to call her Crazy Lady and other names for hurting my self-righteous pride by accusing me of something I think I’d never do, and let loose some of my drama queen teenage students on her. I finally fell into a restless sleep. But God wasn’t done with my heart. Over the next day, I felt more and more compassion for her. Who knows why she reacted this way (he certainly wasn’t innocent in this- he didn’t even have the decency to write back that it was a wrong number and he didn’t know me!). But having experienced a bad marriage and divorce myself, I knew that they probably both have issues, or at least things to deal with, and it’s not my place to judge either of them. They both needed prayer, just as much as my ex-husband and I did. So the next night, I prayed for them for real. On my knees. Humbly and compassionately (finally! ), I prayed for their marriage. For God’s will to be done in it, for His best for both of them (and any children they may have). I felt very much like Jonah at that point. Who knows if they had anyone else in their lives to pray for them? But God allowed my life to be interrupted, and I have to believe that there was a purpose in that. Hopefully, my prayers will somehow help them. It taught me once again to surrender more quickly to His will. Previous (and bigger) interruptions in my life have always taught me something, too. Usually it’s to trust Him more. And many times, those interruptions have blessed me in ways I’d have never imagined. Dear God, please keep interrupting me. Forgive me when I don’t respond quickly and with a surrendered heart. Help me to trust You fully. And thank You so much for loving me, and for giving me second chances and new adventures.